Have you thought about visiting eastern Slovenia? Let us tell you a bit more about the region and 6 interesting places you won’t want to miss. 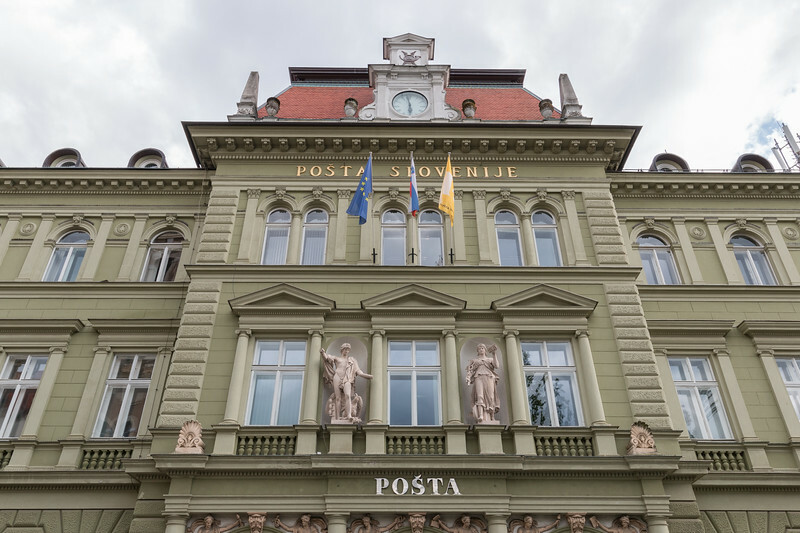 Slovenia may be a small country, however, places such as Ljubljana, Lake Bled or the Postojna and Škocjan caves attract an increasing number of tourists – for a good reason! And what do they have in common? They are located in the central and western parts of the country, where most of the popular and touristy places are. 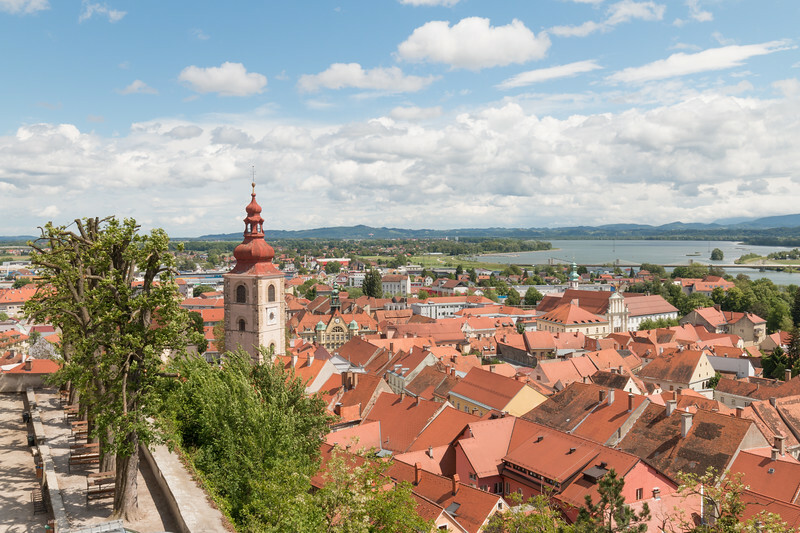 Eastern Slovenia is still considerably under the radar when it comes to tourism despite being home to Maribor and Celje, respectively the 2nd and 3rd largest cities in the country. If you ask about the region to your friends that have visited Slovenia, chances are they didn’t venture this way. Or maybe just Maribor. On our road trip, we found eastern Slovenia to be quite an exciting part of the country to visit. Smaller towns with a very rich history that is still clearly visible on the streets and with a number of museums and castles worth visiting. And let’s not forget the beautiful countryside and its many vineyards. All of this with only a fraction of the tourists we ran into, for example, in Ljubljana. Celje is Slovenia’s 3rd largest city and, in line with other Slovenian cities, a walking-friendly one. In only a few hours you can see all the highlights including the old town and the castle, which can easily be spotted from the city. The main stop of any visit to Celje has to be the Regional Museum. 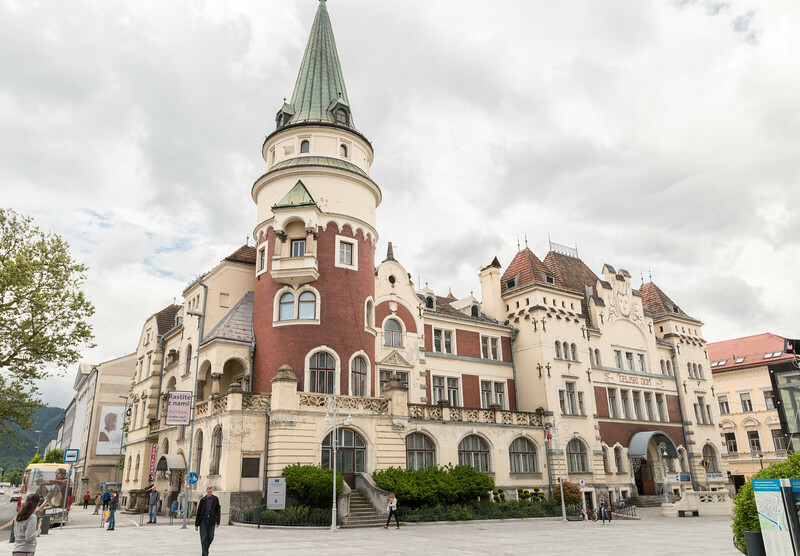 The museum is split into two buildings and offers different exhibitions showcasing the history of Celje. 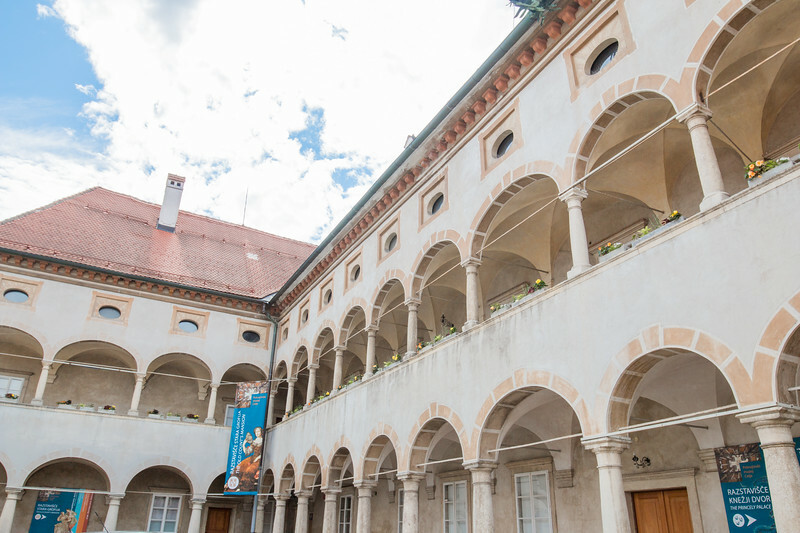 The modern-looking Prince’s Palace houses a display about the Counts of Celje, a very important and powerful noble family, and the remainings of Celeia, a Roman city (now, under a city). The old Counts’ Mansion is best-known for the Celje ceiling, a massive painted ceiling giving the illusion of perspective. It also has a few interesting period rooms. We also recommend taking a look at the many imposing buildings, namely the Town Hall, and also the renovated waterfront which is a very pleasant area for a walk or simply to relax by the river. 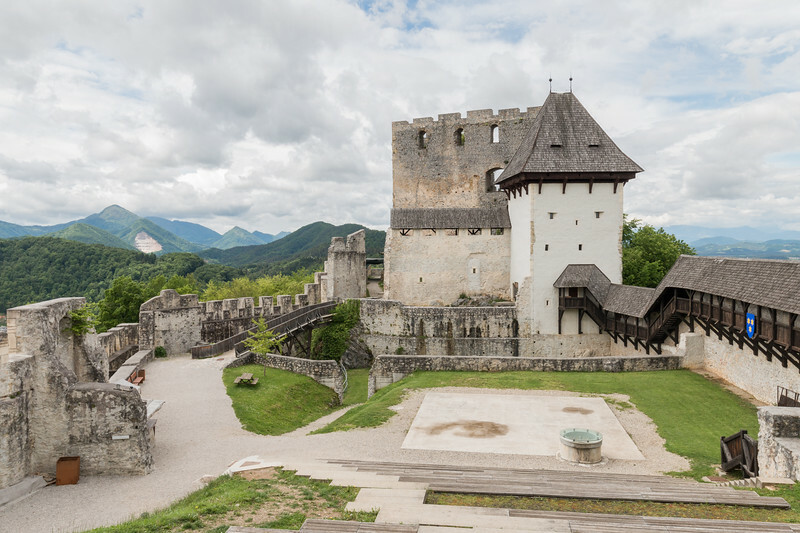 Two kilometers outside Celje and on a hill overlooking the city is Celje Castle, a fortress built between the 13th and 15th centuries and the largest of its kind in Slovenia. 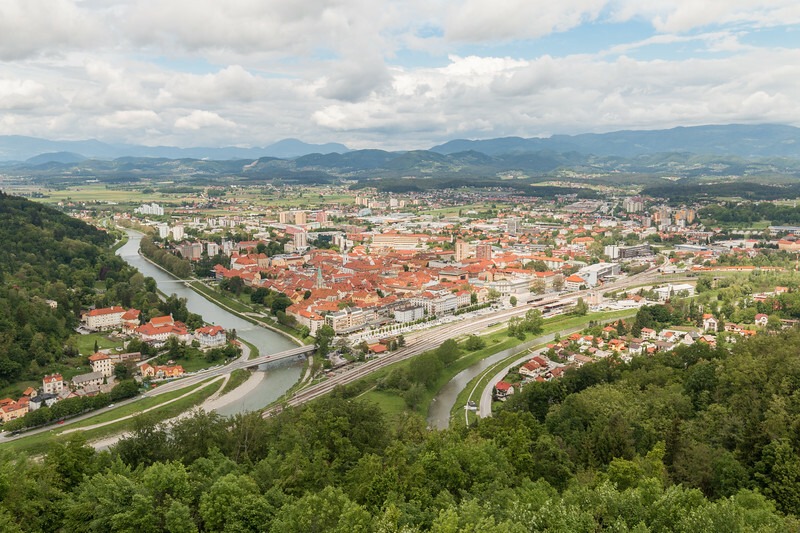 Needless to say that the views over Celje are absolutely incredible and you can see the compact city center, the river, and surrounding green landscape in great detail. The castle was nicely restored and the main feature is a four-story tower which you can climb for an even better panorama! Not far from Celje and the main highway towards Maribor and Ptuj is Žiče Charterhouse, a former Carthusian Monastery from the 12th century with a beautiful location in a tranquil green valley. 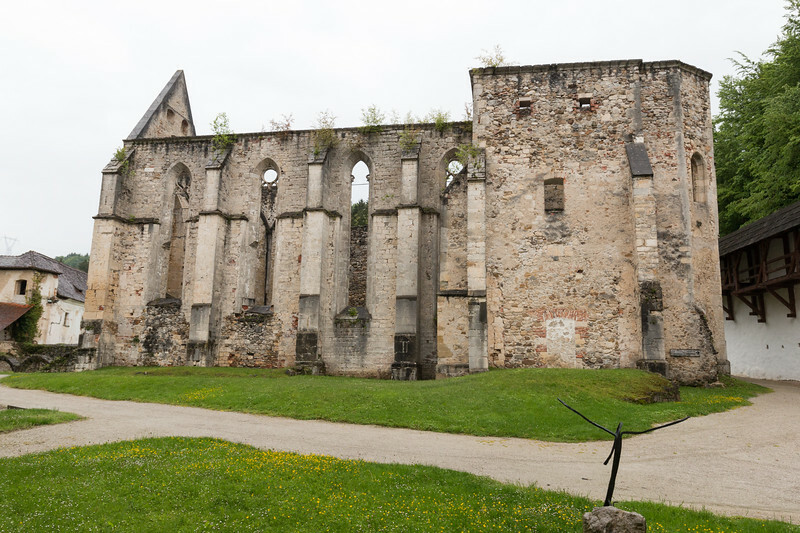 This fortified monastery was abandoned in the 18th century and parts of it fell into despair. These days and after some rehabilitation works, you can visit the grounds of Žiče and learn a bit more about its history and how important it was back in the day thanks to its invaluable manuscripts and herbal remedies. Ptuj is another mandatory stop while visiting eastern Slovenia. 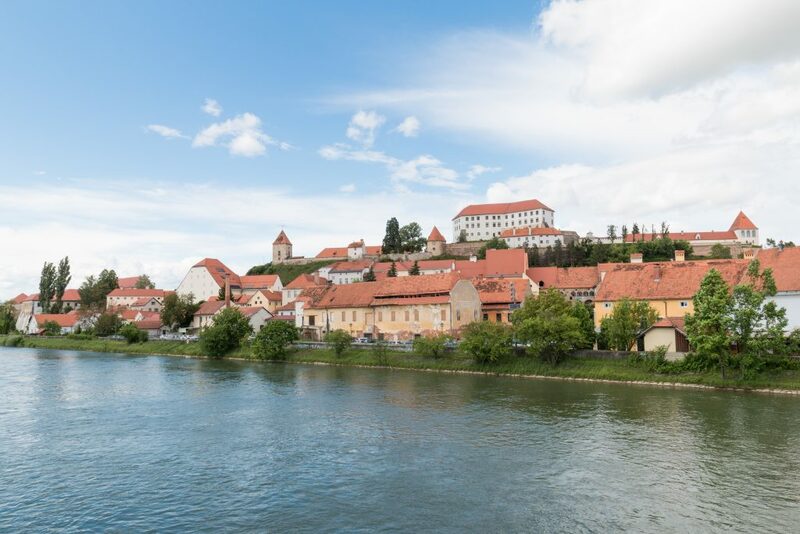 Known as the oldest town in the country (it was once very important to the Romans) and for its traditional carnival – the Kurentovanje, modern-day Ptuj is perfect to explore on foot. 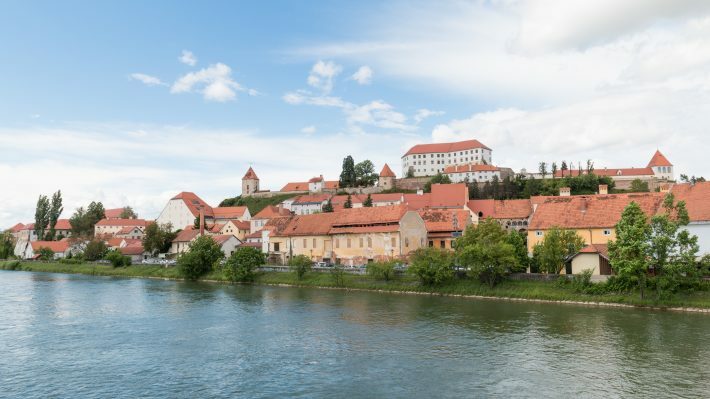 The highlight of Ptuj is the magnificent Ptuj Castle on a hill right above the city center, from where you can get beautiful views of the city and the river. 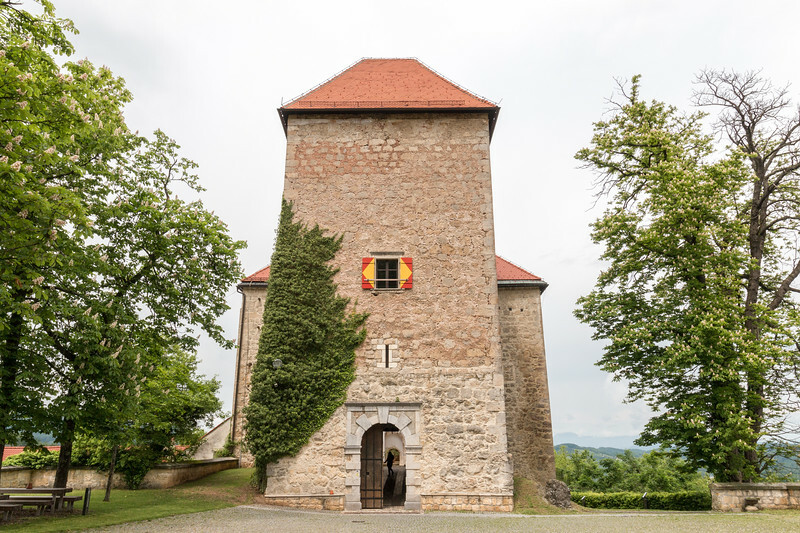 The castle is part of the Regional Museum and hosts a few exhibitions, the traditional Kurent carnival masks and costumes, plenty of old weaponry, a beautiful selection of musical instruments, and plenty of period rooms and classical paintings. And there’s more. 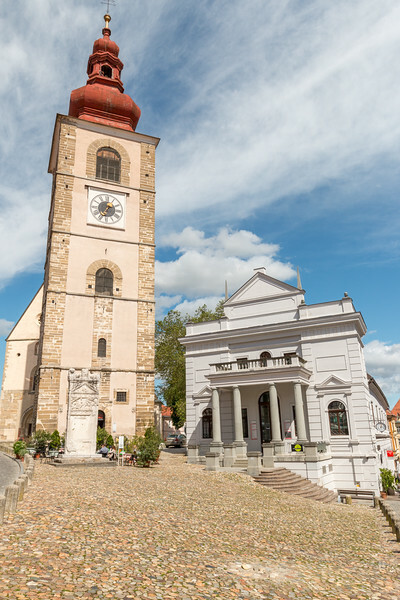 As you descend from the castle back to the town center, the first stop is Slovenski Trg (Slovene Square), where you can visit the Roman Orpheus tombstone, Ptuj Tower and the Church of St. George. Further down is Mestni Trg, the main square with some impressive historic buildings, namely the Town Hall, and cafés. 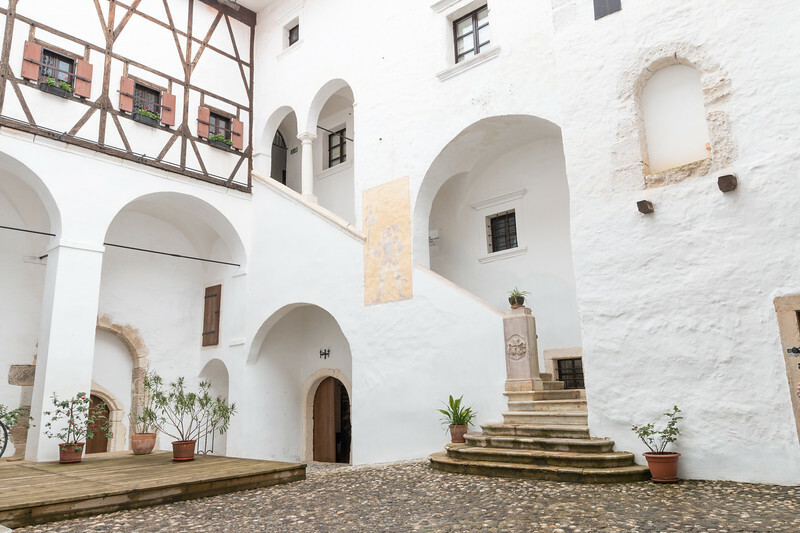 Also worth visiting is the Dominican Monastery, located in the western part of Ptuj and well connected to Ptuj Castle. For an excellent and scenic view of the city, you can cross the Drava river using the pedestrian bridge. 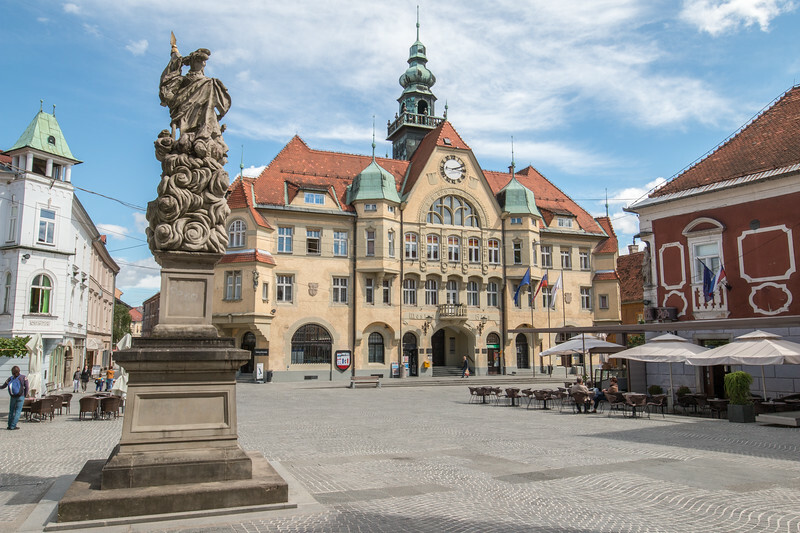 As the 2nd-largest city in the country, Maribor attracts a little bit more attention than the other eastern Slovenia places featured here. Despite this, the heart of the city is quite easy to explore and there are many pedestrian areas. Maribor’s old town is made up of a few squares and dotted with interesting buildings to visit. One of the principal ones is castle square, home to Maribor Castle which is quite different from a typical castle and nowadays houses the Regional Museum. Right next to it is the massive red brick Franciscan church. 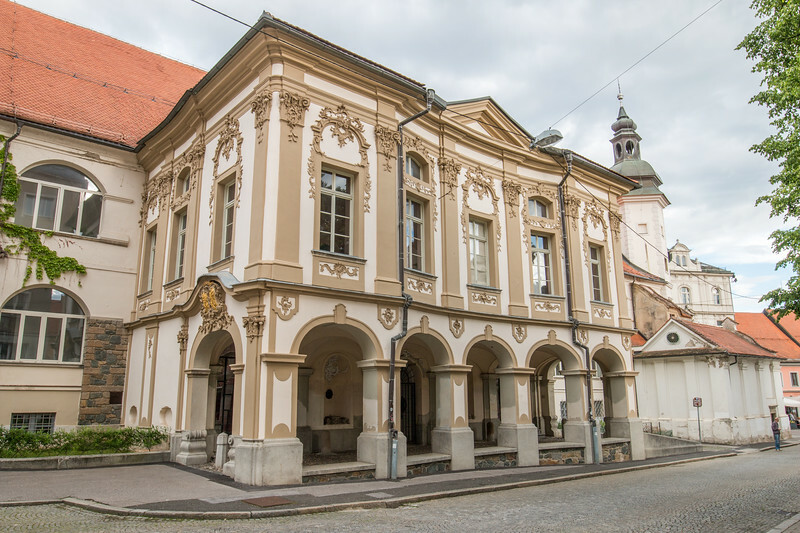 Glnavi Trg (Main Square) has one of the most important buildings in Maribor – the Town Hall. Our favorite one was Slomškov Trg due to the number of impressive buildings, including the National Theater, the Post Office, the University, and the Cathedral of St John the Baptist. The riverfront Lent district is famous for the 400-year-old vine that grows on the wall of one of the houses. Apparently the older vine in the world. The Pohorje mountain on the outskirts of Maribor is a great place to go for all year round outdoor activities. 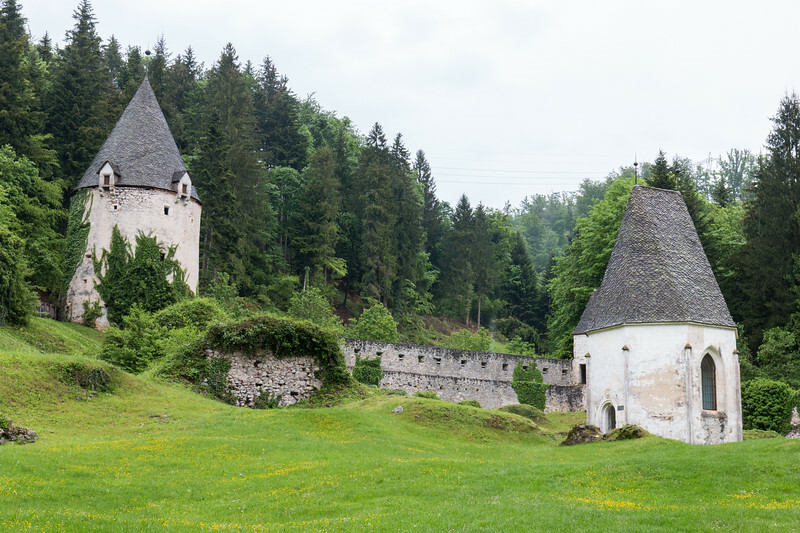 Podsreda Castle is another castle totally worth visiting in Slovenia and a fine example of Romanesque architecture. This recently renovated castle is originally from the 12th century and boasts a beautiful location overlooking the town with the same name, standing out of the surrounding hilly forest. Nowadays, Podsreda castle houses a few exhibitions, including art and photography, but the main attraction is visiting the different rooms of the castle. This one is a bit unspecific but for a reason. 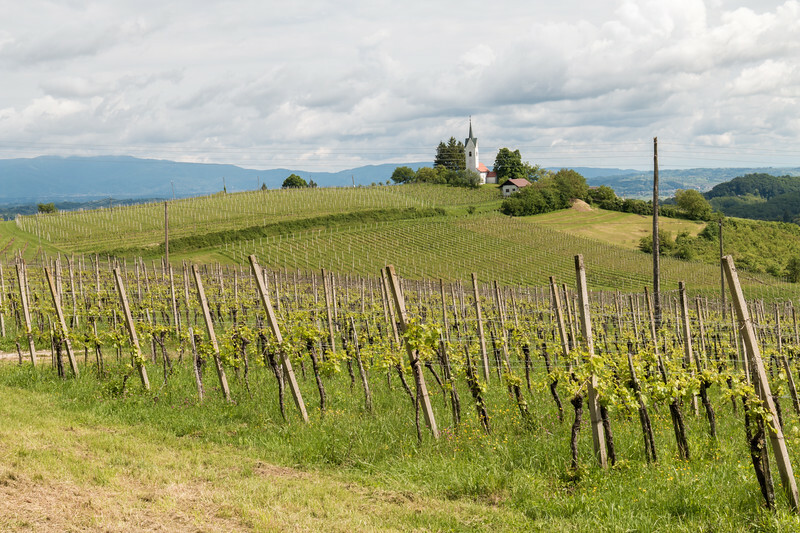 Pretty much everywhere you go in the country you’ll find vineyards and eastern Slovenia is no exception. Get ready to stop and admire the rolling hills and scenic vineyards! Are you planning to visit Slovenia? Don’t forget to visit eastern Slovenia! Wow. Imposing is the right word. Those buildings are towering. Slovenia looks fabulous. I know so little about it but definitely added to my travel list; maybe if a house sit pops up I’ll visit but if not, we will definitely check it out. What gorgeous looking castles. Europe has so many hidden (and some not-so-hidden) places like this that seem like they´re from story books. I would also love to see Lake Bled – it´s all on the bucket list! Thanks, Mark! Europe really is a great continent to explore. So much to see! This is quite a great blog post which you have written. Simply outstanding! This is simply an amazing blog! I am going to visit Eastern Slovenia first time and this blog is very useful for me. Thanks a lot for sharing this perfect blog with amazing photo.